The rain relentlessly pours out of the dark grey skies and people scurry away to find shelter away from the rain. In this rush, the two players remain focused on their ongoing chess game. The wet weather doesn’t deter their focus, you can see it in their eyes that thoughts are swirling about what the next move will be. The minutes pass by, one player wipes the water off his face, picks up his bishop and takes his opponent’s king. The tension is finally broken and it’s only at this moment that they run for cover with the losing player promising that he will redeem himself next time. Joubert Park is at the heart of the Johannesburg CBD. It has been able to endure as its surroundings have changed. The park is always laced with a hive of activity: a few hawkers selling caps and sun glasses, photographers offering to take your picture and others sleeping on the grass. But at the corner of the park, there are two big chess boards, complete with their almost life-size chess pieces. GAME ON: The white chess pieces line up during a game. “I can tell you one thing, I’m really good at chess, you see,” says Cephas Chawada, 28, who as been playing chess at the park since 2013. Cephas came to Johannesburg from Limpopo in 2009 to look for work. He was pursuing a diploma in accounting when he had to drop out because he couldn’t afford his university fees any longer. He started working as a painter at Cape Wood Projects and would walk through the park but never stopped to play chess. “My friend introduced me to the chess in the park,” he reveals. “Now I play every day,” he says as he takes out his phone to take a call. He speaks to the caller in Venda and quickly ends the call. Cephas’s dark skin makes his washed out yellow t-shirt seem brighter. Cephas lives in Hillbrow and says that if he doesn’t have a piece job in the morning, he comes straight to the park. “I’m usually here by 1pm,” he says. “I can play all day until 6.” The crowd around the big chess board keeps growing. “The games played on the big chess board are free. But the games on the small boards can be for money,” he says, pointing to the few green tables in the small area of the park. “We are hoping to install more chess boards, so we can hold tournaments but the rain stopped us.” he says. Cephas excuses himself and crosses over to the big chess board. When he returns, he apologises, explaining that he had to book his place in line to play. “You challenge someone then wait for your turn. This is how he sometimes makes a “few bucks”. It’s the big chess board that is utilised to teach anyone who wants to learn the game. Maybe the giant chess pieces make it easier to visualise the game. “We teach each other. So if you want to learn, any of the guys can show you,” he says. Even though he started playing chess at school, playing in the park is how he got better at it. ABANDONED: The new large chess boards that aren’t being utilised due to lack of chess pieces. According to an article published in 2013 in the Mail & Guardian Thought Leader, the giant chess pieces were donated by Johannesburg Development Agency as “part of their social investment programme”. The wear and tear on the chess pieces is evident, the paint is starting to peel. One of the pieces has been completely stripped of paint, and it stands naked with its soggy wooden frame exposed. The pieces spend their days and nights exposed to the elements since they are kept outside, on the board. Therefore, the peeling is understandable. 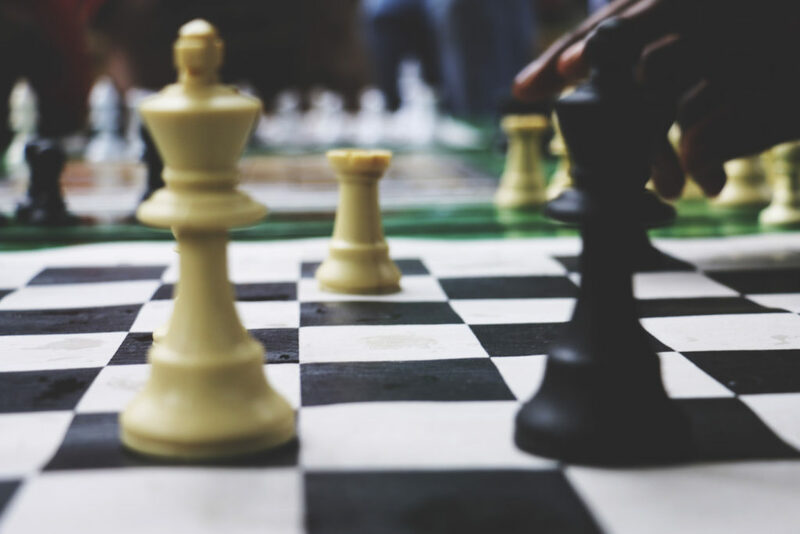 But Cephas says since receiving the large chess pieces, there hasn’t been any other help the chess players have received from the government or the corporate sector. “Government doesn’t help us. We have to do everything ourselves” he says. “Government should help us because this park is owned by the city.” Since they are hoping to get more chess boards, he says it would be great if government helped them out and worked with them. “If they help us, maybe we can keep the chess pieces in the clinic over there [points to a clinic inside the park].” Cephas’s passion is obvious as he speaks about the potential of the game. “We could teach more people how to play,” he says. The crowd watching the current game keeps growing and their commentary on the game is even louder. “This place is well known. You can ask anybody about Joubert Park and they will say ‘where they play chess’. It’s like a culture now,” Cephas says. ZUGZWANG: That moment when every move will lead to a disadvantage, a feeling familiar at Joubert Park. Cephas reveals that they have some players who are currently teaching children in surrounding schools how to play chess. He believes that children can benefit from learning how to play the game as it helps one to think and strategise. This is his belief, that chess can help keep young people occupied, thus protecting them from drugs and criminal activity. “This thing of ukuganga (naughtiness) is gone from your head,” he says. His friend, David Kondowe agrees. THE DAIZERS: The Dazzling Daizer and his team that were actually extras on the Disney movie, The Queen Of Katwe. Cephas and David have been friends for years now, who share a common passion for chess. This is testament to the brotherhood that forms among the players. “I’ve made so many friends here, even people from Zambia and Malawi,” Cephas says. “This game brings people together.” When one looks around, from the big board to the games being played on the tables, it’s clear that these guys are friends from the banter that is exchanged between players: they tease each other like siblings. “Everyone is equal. Everything is fair here,” Cephas says. He emphasises the fact that the people who play chess in the park can come from different backgrounds including former CEOs, but in the park, they are all the same. “No one is treated better because of status,” he reveals. “We just treat each other with respect,” he says. “Yeyi wena Cephas, woza uzodlala. [Hey Cephas, come play]” a man in a blue shirt shouts as he moves the large chess pieces back into starting position. Cephas’ turn to play has come. He tells the man that he will play later, because he is busy at the moment. “ I can tell you one thing, I know I’ll win, so it’s fine. We can finish here,” he says. Throughout the interview, many people greet Cephas and he returns their greetings with a wave and nod. Cephas bends down, takes off one of his aqua striped flops, dusts off a smudge of dirt and throws it back on the ground and sticks his foot back in. “We try help each other in whatever way we can if we are in trouble,” he says. 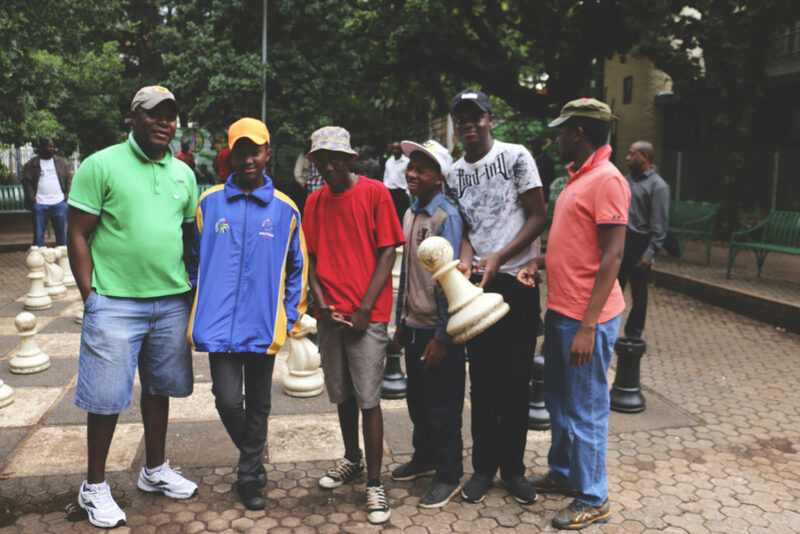 Since Joubert Park is located within the CBD, a place considered unsafe, riddled with crime and burgeoning with high human traffic, the little corner where these men play chess has become a small haven and relief for Cephas and his friends. “It’s a safe space,” he says. He further states that anyone is welcome to come play. “It’s free to anyone,” he says. He says that sometimes people come to the park to relax and end up playing chess. It is Cephas’s and David’s hope that they can get access to more boards so they can host a mini-tournament in the park that would be open to everyone. 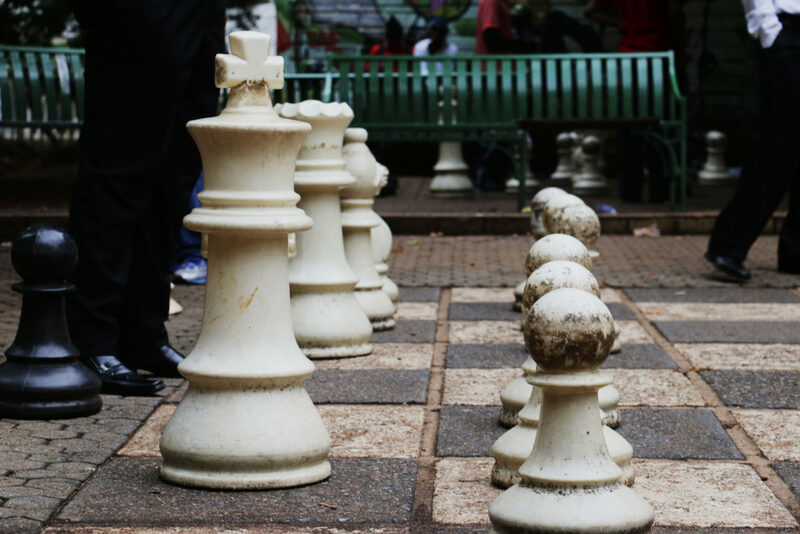 “We have tried to ask Joburg Metro [Council] for more chess boards,” he says. Cephas hopes they can get flyers to advertise the tournament, and his vision for the day is to have people playing throughout the park and people walking by can just come, sit down and play, and then carry on with their day. “I really hope we can do this,” he says. Chess may be just another board game for some, but here at Joubert Park the game is becoming a way of life for some. The game has enabled people to connect, socialise and spark friendships. In this little corner of the park, checkmates, stalemates and zugzwangs are a constant feature. Chess has become a huge part of the park’s identity, creating a space in which people get to flex their mental muscles. 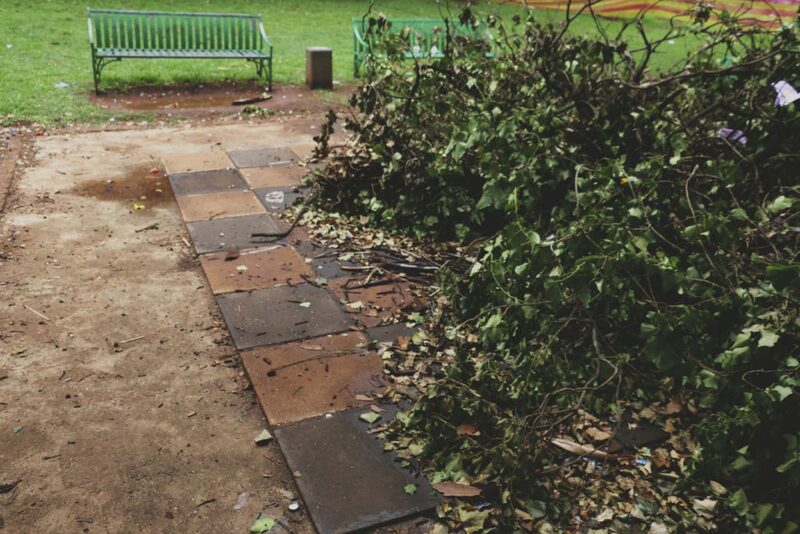 With plans to increase the number of tables, it seems chess will survive through the years just as Joubert Park has.